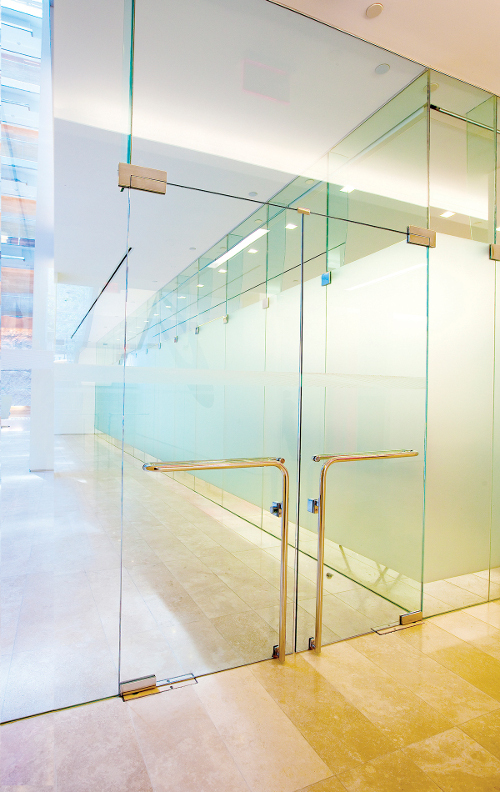 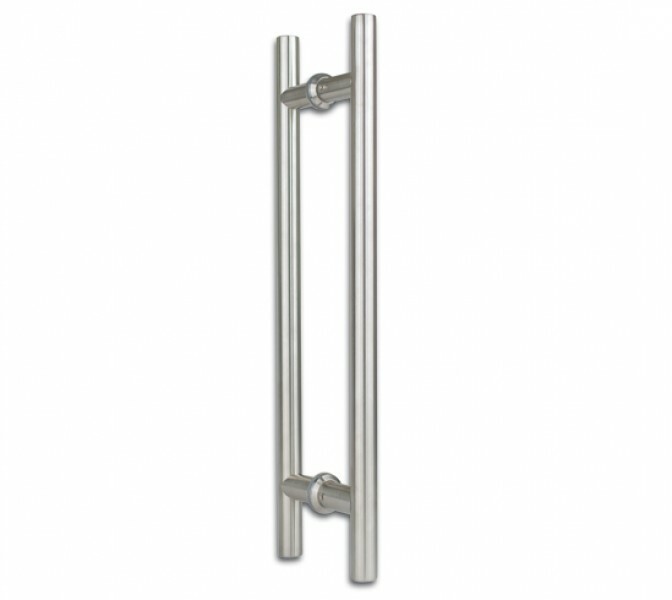 Maryland Glass stocks standard Ladder Pulls for your All Glass Doors. 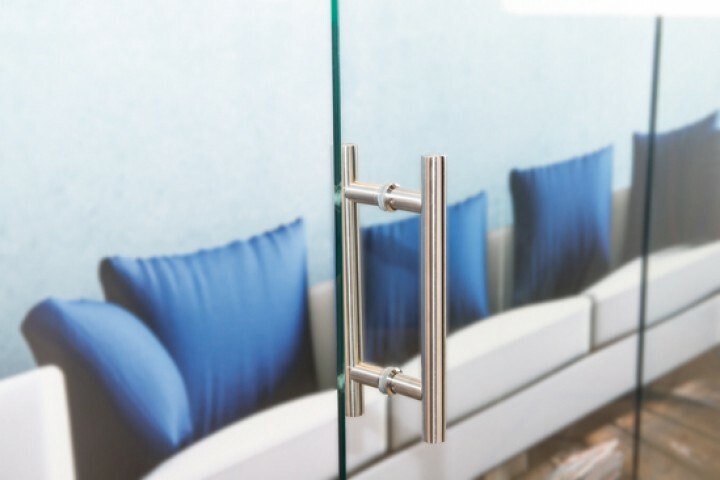 We also supply handles from Rockwood, Elmes, Forms + Surfaces, Dorma, and other major manufacturers. 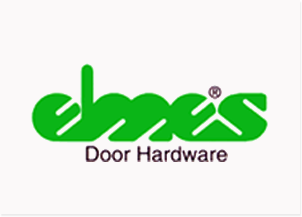 We are a certified provider of Panic Handles and Hardware and supply complete door packages with all hardware and panic handles.